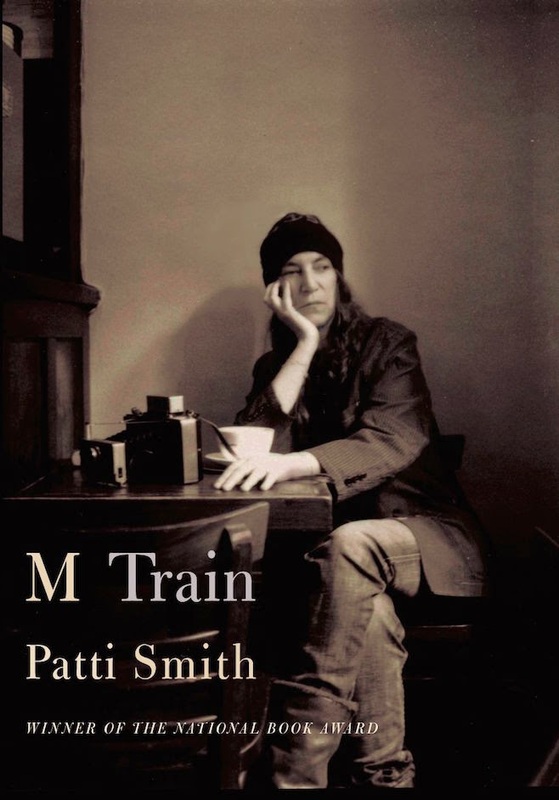 M Train es el título del próximo libro de memorias de la cantante y poeta, Patti Smith. Este libro es la continuación de Just Kids, libro autobiográfico sobre su amistad con el fotógrafo Robert Mapplethorpe. Fantástica la portada que muestra a la artista dentro del café Ino, ya cerrado y que se encontraba en el mismo Greenwich Village, desde arranca el libro. M Train is a journey through eighteen "stations." It begins in the tiny Greenwich Village café where Smith goes every morning for black coffee, ruminates on the world as it is and the world as it was, and writes in her notebook. We then travel, through prose that shifts fluidly between dreams and reality, past and present, across a landscape of creative aspirations and inspirations: from Frida Kahlo's Casa Azul in Mexico, to a meeting of an Arctic explorer's society in Berlin; from the ramshackle seaside bungalow in New York's Far Rockaway that Smith buys just before Hurricane Sandy hits, to the graves of Genet, Plath, Rimbaud, and Mishima. Woven throughout are reflections on the writer's craft and on artistic creation, alongside signature memories including her life in Michigan with her husband, guitarist Fred Sonic Smith, whose untimely death was an irremediable loss. For it is loss, as well as the consolation we might salvage from it, that lies at the heart of this exquisitely told memoir, one augmented by stunning black-and-white Polaroids taken by Smith herself.